listing of hidden senior level jobs on the web. and templates designed by our master writers and graphic designers specifically for Canadian senior level talent.Stand out and start getting interviews today! In order to seize opportunity you must know where that opportunity is hiding. Finding executive level and six-figure jobs in Canada is not easy. The proliferation of job boards that try to be everything to everyone actually makes matters worse for the upper 7% of the Canadian population that HigherBracket was built for. If you are looking for opportunities, look no further. We have done the heavy lifting for you as partners in your upward mobility. HigherBracket.ca helps you craft a compelling resume by providing professional resume samples and templates, articles, whitepapers, seminars and workshops. Our resume assessment program provides you with 6-7 pages of in-depth analysis of what needs attention on your resume and how to fix it. Without a truly stellar resume you will not get interviews. It is the foundation of your job search. We have the resources to help you understand and stand out on linkedIn. We have the information you need to mount a successful senior level job search. As a member of HigherBracket you will have the information, tools and resources you need to move your career forward. Start your free trial today! The higher up the ladder you go, the more isolated the landscape becomes. At the very core, HigherBracket is a community of people to assist the best talent in Canada land the best opportunities available. You are not alone and we are here to help. Join thousands of directors, VPs, C-suite executives, senior managers and top individual contributors from all over Canada. Expand your network using our groups and events. Connect with thousands of senior level HR professionals, get honest feedback from the HigherBracket community about target companies and recruiters. Become a member of the largest network of executive level talent in the country. Your site made the difference in my job search. I was able to find opportunities, advice and support. I have successfully used higher bracket to move up significantly. Seven weeks, four interviews, two offers and one new job that raises my salary by over fourteen thousand dollars... You should charge more for your subscriptions. 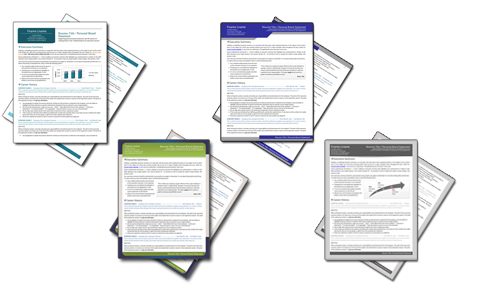 I cannot thank you enough for providing such a fantastic resource for finance professionals. The people not taking full advantage of Higher Bracket are seriously limiting their job search and wasting time!"